Leading Manufacturer of surgical drapes, disposable surgical packs, eye pad, ophthalmic drapes / eye drapes and eye pads from Indore. We are the leading organization engaged in providing excellent quality Surgical Drapes. 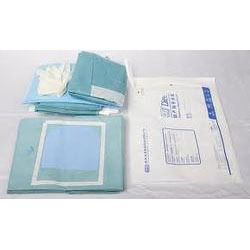 Our surgical drape is come with superior adhesives, coatings, film and non woven technologies offering the features most important to surgical teams. 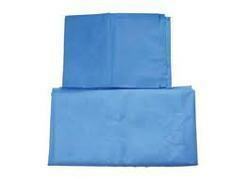 The offered surgical drape is used by doctors for keeping any kind of infection away from themselves and patients. Moreover, this surgical drape can also be customized as per the several requirements of our customers. We feel immensely pleased to offer an excellent quality Disposable Surgical Packs. 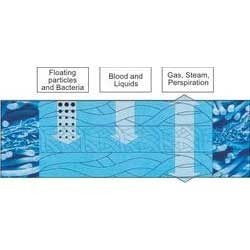 Highly effective and preventive bacterial migration, the best quality and adhesion of incise surgical pack & drapes are an perfect option for all kind of surgery. Also, our surgical pack is checked from our side before supplying to customer’s end. This surgical pack is widely used by the surgeons during any type of operations in order to protect themselves from any kind of bacteria. Our reputation in the market is largely attributable to our precision-designed Eye Pad. Featured with good quality absorbent cotton filter covered with non adherent absorbent and non woven layer, the Eye Pads have been properly sterilized before their packing. 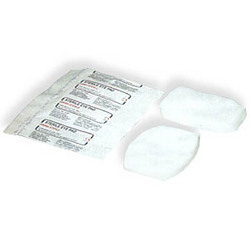 This eye pad is used for protecting the eyes from dust, air, light and smoke after surgery. Our offered eye pads have impressive absorbing properties as these are filled with an internal cotton filler. Ophthalmic Drapes are used extensively for covering the body parts except the eye area during operation. This ophthalmic drape is designed from the excellent quality material to offer complete protection during surgery and operation. Eye Pads are used for protecting eyes from dust, air & light after operation, injury or any disease. Manufactured in tandem with international standards, these eye pads are rigorously tested by our experts on different parameters to ensure their flawlessness, before the final dispatch. Looking for Medical Disposables ?